Super Ninja Square Attack is a free Arcade Game For Windows 8 and 8.1 computers. It is a fun to play game, which is easy to begin with and gets tough and tougher as you keep playing it. Your mission is to attack good boxes, and stay safe from the bad boxes. How to recognize, which box is good and which is bad? Simple. The white one is good, and the black box is bad for you. So, bad that you loose life, each time you touch a black box in this arcade game for Windows 8. So, lets know more about this game, and see how to play it below. This action game for Windows 8 will occupy almost 40 MB of space in your computer. Developed by Branovets Games, it can be downloaded from Windows App Store. Click on the link given below to visit the installation page on Windows App Store. You can also visit the store and search yourself by searching its name. Click Install when you reach the installation page to automatically download and install this action game for Windows 8. The rule for playing this game is simple. There are white boxes and there are black boxes. 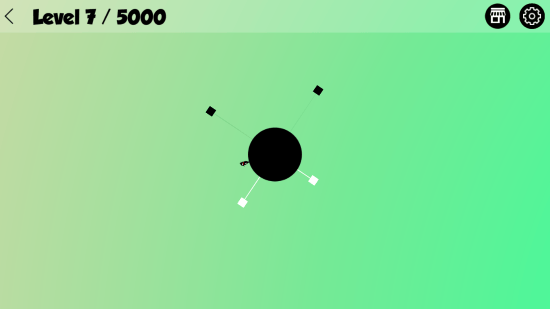 These boxes pop out of the sphere, and you have to collect/smash given number of white boxes in each level. Once you reach your target, you move on to next level. 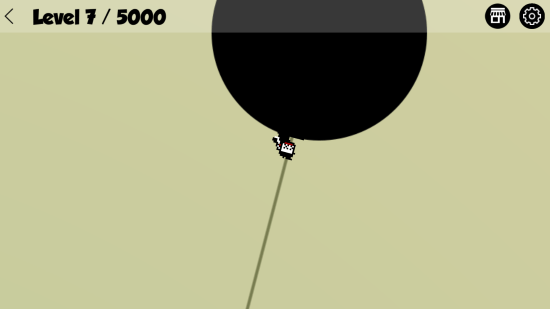 The boxes pop out way above the sphere, so you have to jump to pop the boxes. Click on the screen to make your ninja jump in this arcade game for Windows 8. When you begin, the number of boxes are less, so its easy for you to collect the boxes, and dodge the black boxes. When you jump, you ninja will look something like in the above picture. Another thing that you have to be careful about is, that the sphere changes the direction of rotation every once in a while, so does the ninja (relatively). So, you will have to be extremely careful about it, else you hit the black box, and you loose life. The while box pops as you touch it while jumping. Keep trying and keep playing this arcade game to encounter more levels and more difficulties. This arcade game for Windows 8 is a good app to download if you want to check and build your reflexes. 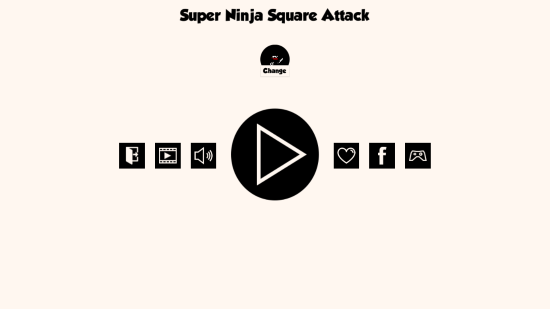 Download Super Ninja Square Attack for Windows 8 and 8.1 computers.